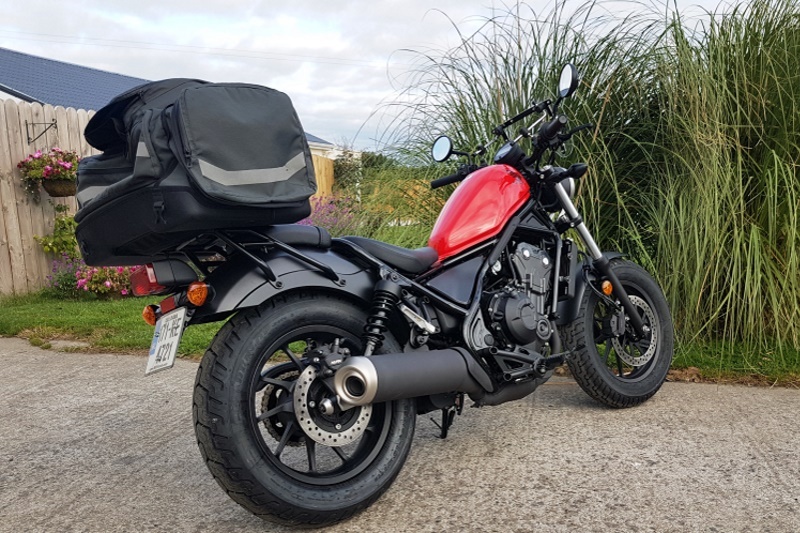 Highly recommended, our top rented motorcycle! 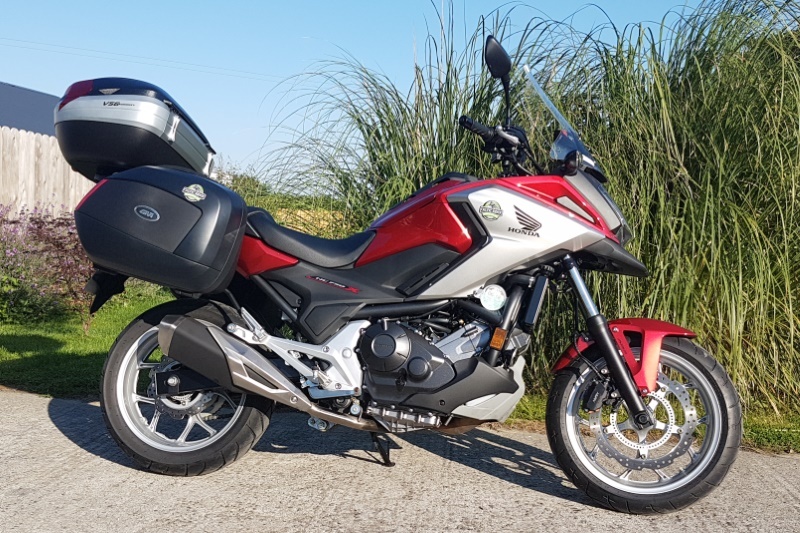 Europe’s best selling motorcycle, the new Honda NC ( New Concept) 750X. 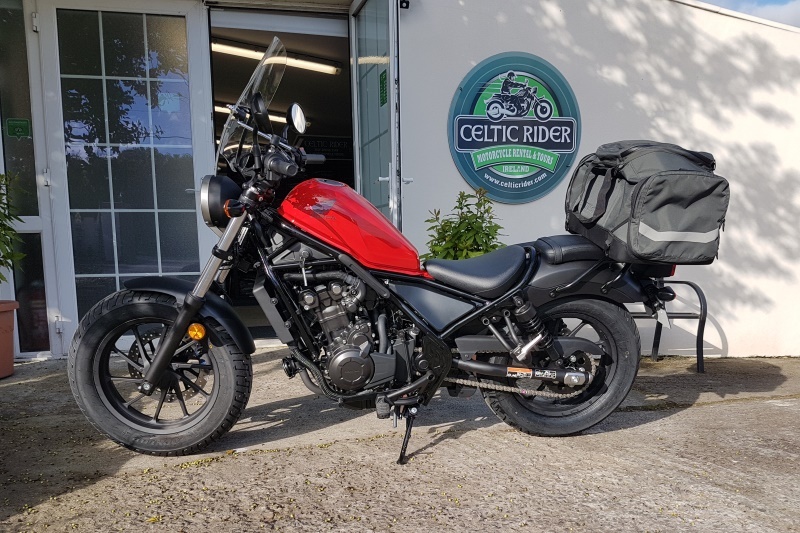 After extensive testing of these wonderful motorcycles, we are so impressed with the overall build quality, handling and riding comfort that we now have 16 in stock. 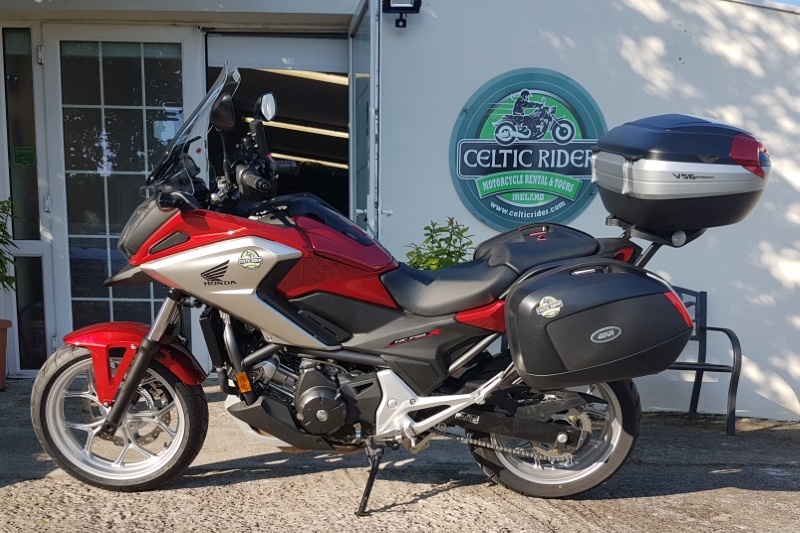 Designed to tour comfortably on all types of roads, with massive luggage storage capacity exceeding 150 Litres, these motorcycle are a great addition to the fleet in Celtic Rider. Excellent new suspension and ABS brakes, a broad comfortable seat , and now available in low seat and standard height. 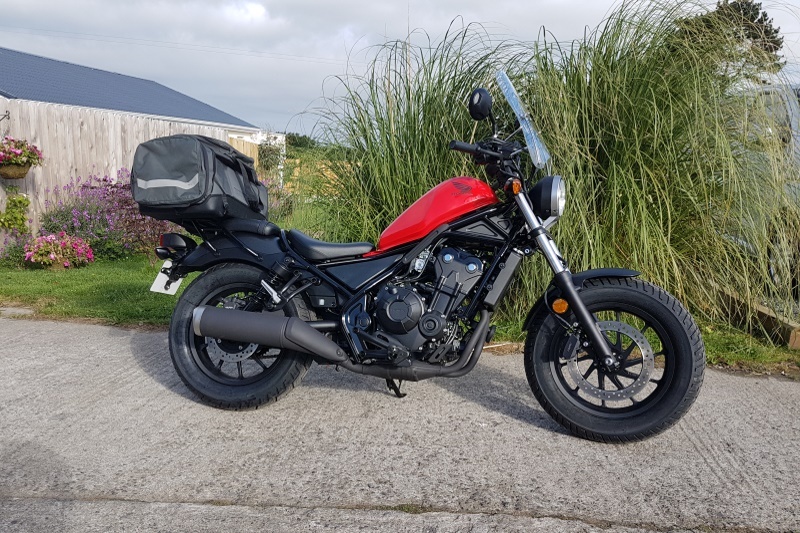 A great all-rounder, with world renowned Honda reliability gained over many years. 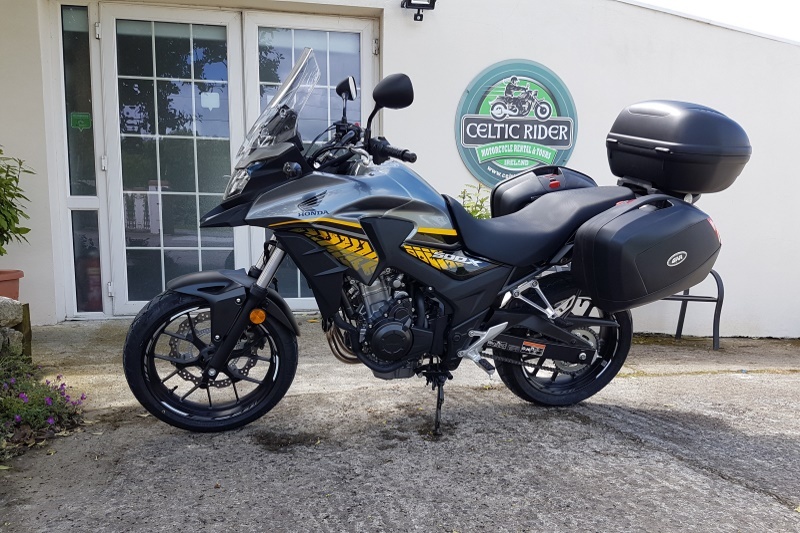 Latest edition to the Celtic Rider fleet are the new Honda CB 500X. 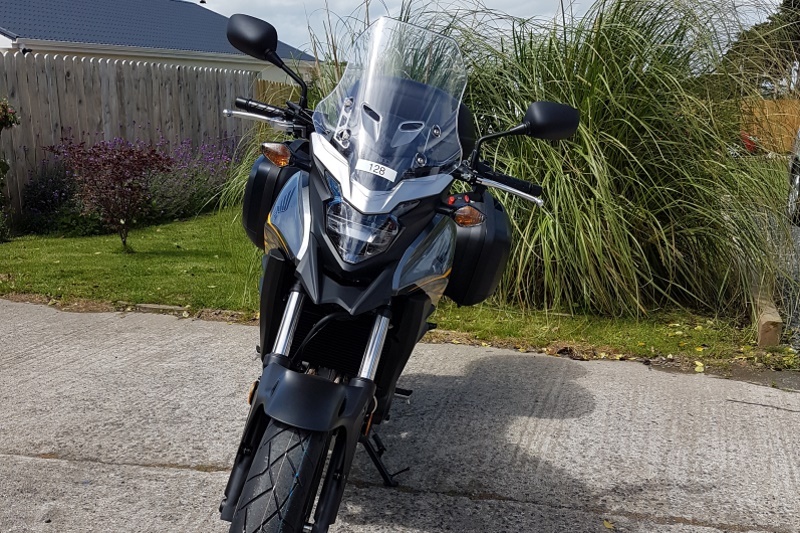 This new Honda CB 500X is getting 5 star reviews worldwide. 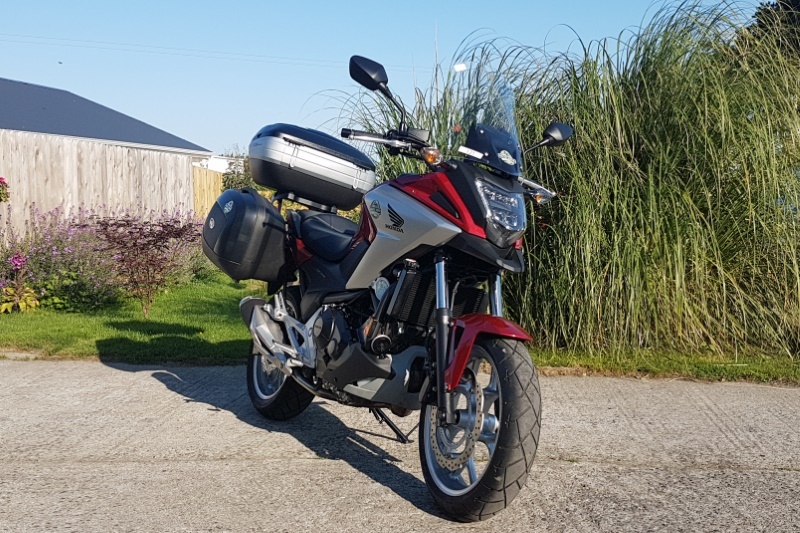 Massive 4.6 gallon tank (17.4 litres), ABS brakes, impressive performance, lightweight, very comfortable seat and riding position, and of course Honda build quality. Low seat height of only 31.5 inches. 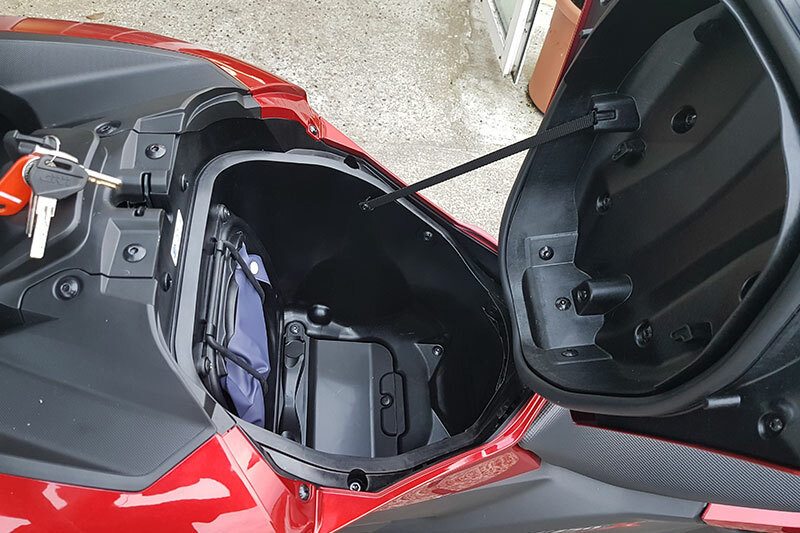 With full Givi luggage system (side cases and top case), total of 120 Litres of carrying capacity. 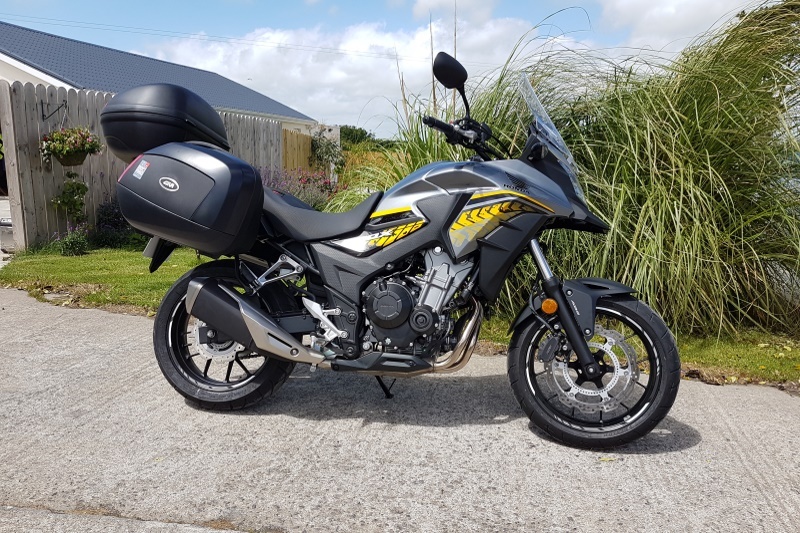 We are very confident that these Honda CB 500X motorcycles will prove to be excellent for solo riders, with the added benefit of a lower rental daily rate. 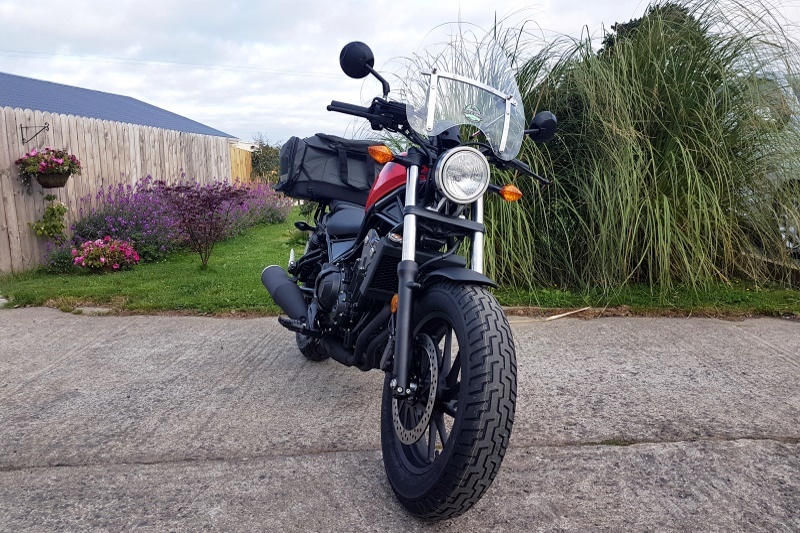 The latest Honda CMX 500 Rebel is a light but comfortable low seat height cruiser, ideal for riders who enjoy riding solo. 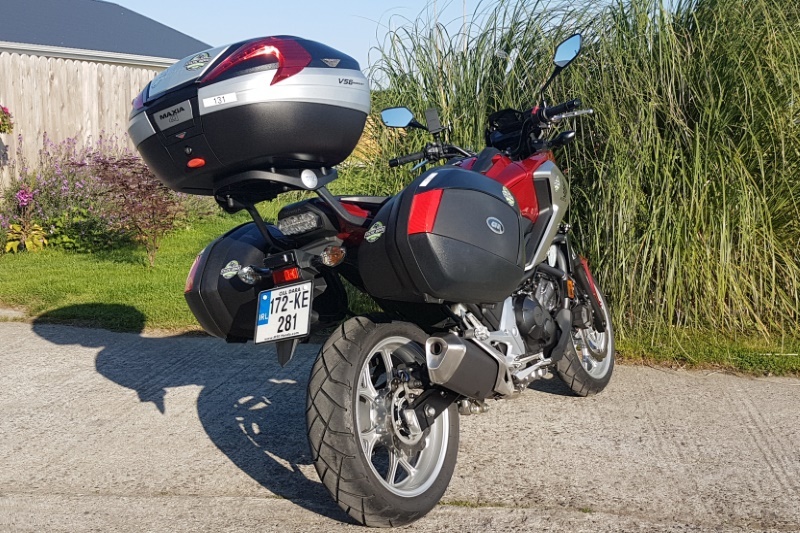 This bike comes with windscreen and luggage rack. We supply a range of large 100% waterproof luggage bags. 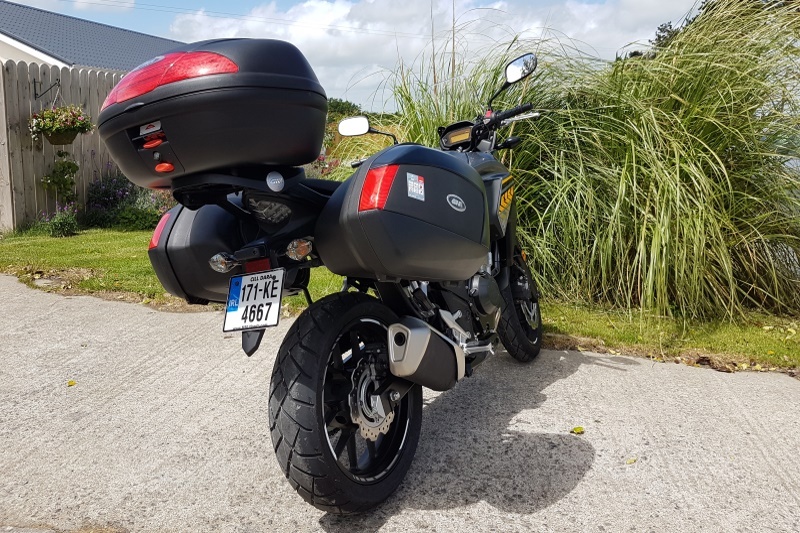 Genuine fun bike to ride, with plenty of grunt in the 500cc twin cylinder engine, super on fuel economy. Over 80mpg. Ideal for both low speed and highway riding. Perfect motorcycle for riders who prefer a low chassis, 27 inches, this is an easy to handle motorcycle. Honda build quality is synonymous with the brand. Unladen weight…only 172 Kgs / 380Lbs.